Freely adapted from a French fairy tale, this award-winning play is the marvelous tale of Princess Fiordelisa, who falls in love with the kind but somewhat bumbling Prince Charming. You’ll love the freshness of this story, which contains all the conventional — and some thoroughly unconventional — elements of a traditional fairy tale, including the hiss-ably wicked stepmother, Caveatta, and Trouty, her utterly clueless daughter. Caveatta devises a plan to dupe Prince Charming into marrying Trouty. As part of her evil plot, she locks the lovely and kind Fiordelisa in a tower to keep her away from Charming while Trouty woos him. 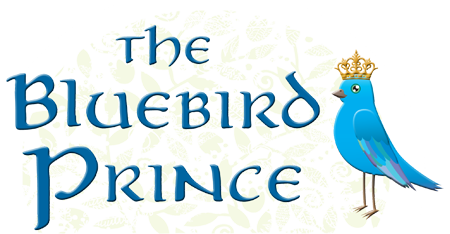 Read more...When he discovers the deception, he refuses Trouty, and in a fury, her fairy Godmother Mazeela changes the prince into a bluebird for twenty years. Nonetheless, he and Fiordelisa are still in love, and with the help of Charming’s friend — the half-Enchanter, half-Genie Bellspinder — the two lovebirds seek to free themselves from Caveatta’s plots and find their own happily ever after. Also available as a middle grade novel in both print and Kindle format from Amazon.com. You can read about this creative adaptation in the article Gryphons and Werewolves and Fairies, Oh My!